Each month at the MyCase blog, we hold a giveaway. Last month the TranscriptPad iPad app was up for grabs. This month it's one of two iPad cases from the good folks at IPEVO. These are my favorite iPad cases, so if you win, you're in for a treat! If you'd like a chance to win, head on over to the MyCase blog and sign up! 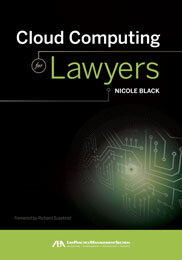 And, while you're at it, check out my past posts there about law practice management and legal technology issues, including cloud computing for lawyers. 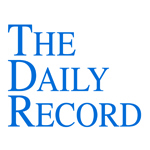 This week's Daily Record column is entitled "Tech obligations affected by ABA Model Rules changes." During the American Bar Association’s Annual meeting in early August, the ABA House of Delegates approved resolutions that incorporated updates to the Model Rules of Professional Conduct. These changes affected, among other things, cloud computing and outsourcing, confidentiality, and lawyers’ obligations to stay abreast of changes in technology. These were important amendments, intended to reflect the reality of practicing law in the midst of a rapidly changing technological landscape. After many iterations of proposed changes to the Model Rules and many rounds of public comment and discussion, the House of Delegates at long last considered and passed a final set of amendments (online: http://tinyurl.com/abaModelRules2012). The commentary to Rule 5.3, which addresses lawyers’ responsibilities when using non-lawyer assistance, was also amended to address outsourcing issues, including the use of cloud computing providers for the purpose of storing confidential client data. The new language provides, in relevant part, that lawyers may use third party non-lawyer providers, including: “an investigative or paraprofessional service, hiring a document management company to create and maintain a database for complex litigation, sending client documents to a third party for printing or scanning, and using an Internet-based service to store client information. When using such services … a lawyer must make reasonable efforts to ensure that the services are provided in a manner that is compatible with the lawyer’s professional obligations. These amendments to both the rules and the commentaries are important additions to that reflect the ABA’s acknowledgement of the impact of technology on the practice of law. Unfortunately, I suspect that the requirement that lawyers’ stay on top of changes in technology, while undoubtedly a necessary requirement, is one that some lawyers will find to be unduly burdensome. However, the stark reality is that, as I’ve been saying for years now, the effects of technology on the practice of law are inescapable. Up until now, many lawyers have chosen to ignore this fact — but, no more. Because of the passage of these new resolutions, technological ignorance is no longer an option.